I changed the URL of my blog! It took a lot of work to get the pretty URLs working, plus there’s the issue of visitors to my blog and search engines still having the old URLs.Â Because of this I was hesitant to change the URL, but today after a lot of research and modelling, I finally switched the URL.Â I had been testing redirecting /blog to /wordpress since I re-did the main page of my website, butÂ today I took the big plunge. The most important thing was to setup the redirect via the Apache web server I use in a way that preserved my Google ranking.Â The trick (according to Google) is to send the 301 header with the redirect. Please let me know if you see anything that doesn’t work anymore! When setting up my VPS server there were a number of options for building it. 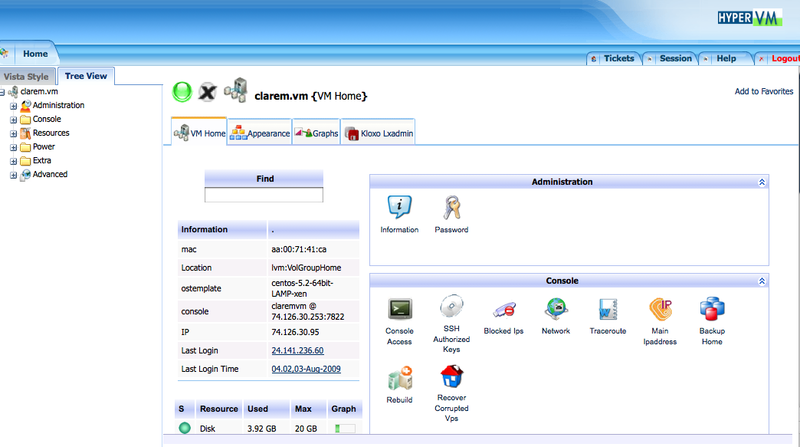 The VPS admin tool gives you “virtual” control over the power switch and the ability to rebuild the server with a fresh OS image at any time. A2 Web Hosting has a few flavours of Linux to choose from: CentOS (the GPL-based rebuild of Red Hat’s Enterprise Server 5), Gentoo and Ubuntu. I went with CentOS as I use it at work, and Enterprise-Grade always seems good to me. From here on I’ll assume that you know something about the command line, and that you’ve got a good SSH client like the OS X Terminal or Putty and a way to upload files via an SFTP client like Cyberduck or Filezilla. One my first steps with a pristine Linux operating system is to create a folder called “backup” and an “etc_original” folder in there and copy all of the original etc folder files there for reference. Once all of those packages are installed you’ll need to set them up. You are currently browsing the archives for the Setting up a server category.